From Tobermory to Kincardine and Walkerton, there's a whole new world for you to discover in between. Here we explore farm life in the morning, beach life in the afternoon and bright starry skies all night long. 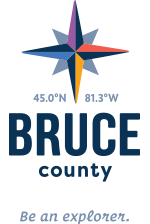 Bruce County is where those roads less travelled become a journey: in life, in our work, in our communities, and in how we spend our days together. Where will the road less travelled take you today?